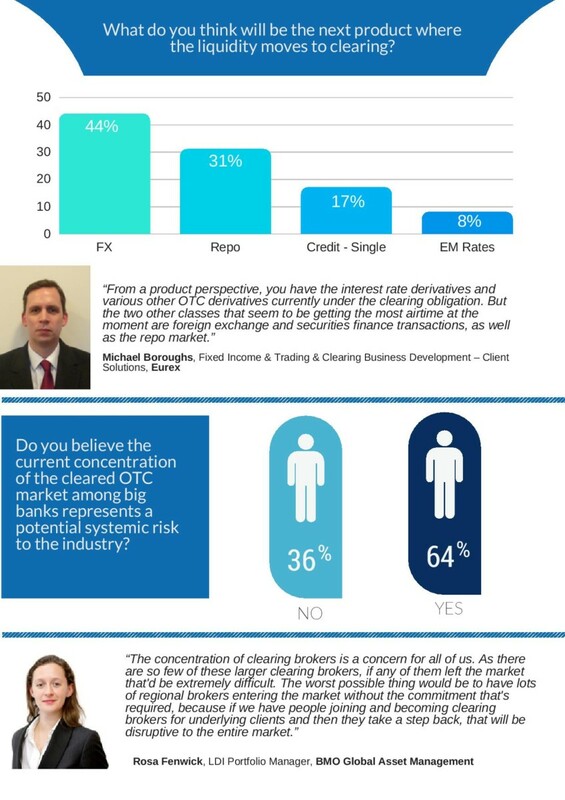 This infographic explores current trends and perspectives in CCP clearing and how the market is evolving given the growing push to clear OTC products despite a shrinking number of global clearing firms. The data and quotes are taken from a recent DerivSource webinar, featuring panelists from BBVA, BMO Global Asset Management, Eurex, LCH and Sernova Financial. To learn more, please watch the on-demand version of the webcast: CCP Clearing Access – Where Are We Now And What’s Next?